What should I pack for labour? What should I pack for my husband? What should I pack for after the birth? What should I pack for my baby? What should I pack for after delivery? So many questions, so little time! We’ve finally reached full term and I thought it’s time to actually get this ball on the roll. Since baby can come at anytime from now – fingers crossed she stays till the end – I figured it’s time to pack our bags! 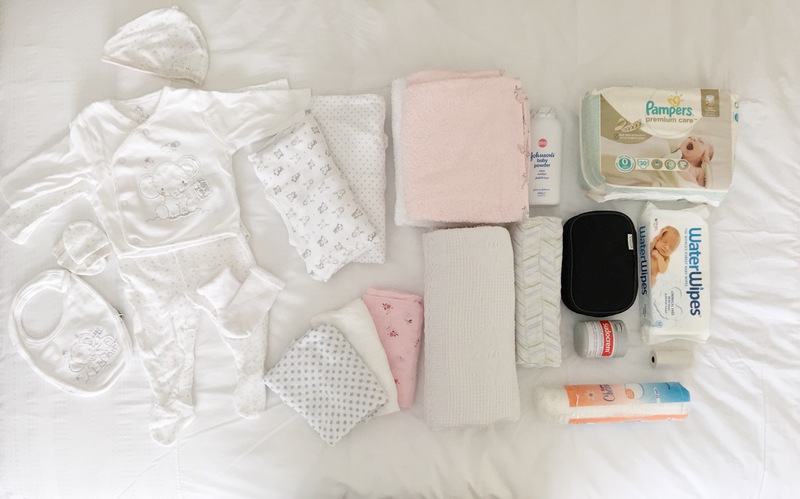 A lot of mums advise me to pack from 35 weeks already but we’ve just relocated to a new country so that’s delayed things a bit but none the less I am here now to show you what I’ve packed in our hospital bags. It is quite exciting but daunting at the same time, being a first time mum and not really knowing what to expect or what my baby actually needs. I think I covered the basics and hopefully the hospital will have whatever I’ve forgotten or overlooked. I’ve kept it as simple as possible because I like to pack lightly. So, what did I actually use? Well, just her clothes and her blanket for when we left the hospital. The hospital had everything else available, I didn’t even need the nappies. All the stress and pressure of packing her little bag and she didn’t even need it all! Hope this helps you prepare for your little ones arrival.